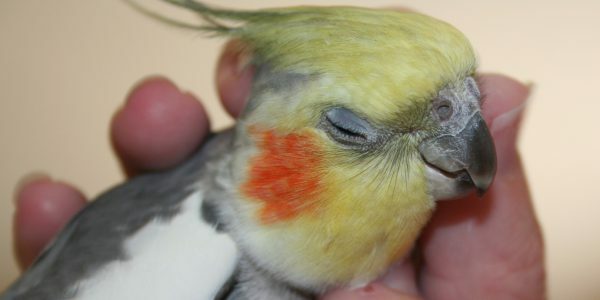 If you are in the process of buying a cockatiel for the first time, then you are probably wondering what a cockatiel needs. Obviously, this is besides all the love and attention that you are going to lavish on him. Luckily the outlay, in the beginning, is the only real expense you will have to go through. After that, cockatiels are relatively cheap pets to have. Here is a list of cockatiel needs for your checklist. If you are interested in purchasing the items online, simply click on the pictures or the links. The first thing your new cockatiel needs is a cage. It mustn’t be too small and must have more than enough space for him to spread his wings. It is always best to buy the biggest rather than the smallest cage. Cage Only Size: 18″ Length x 14″ Depth x 35″ Height ; Bar Spacing: 3/8″. One Large Swing Out Door and Two Small Lift Up Doors. Feeder Cups with Feeder Doors, Wood Perches, Removable Bottom Metal Grate & Pull Out Plastic Tray. Stand Only Size: 18.5″Length x 14.5″Width x 28″Height; Total Height With Cage & Stand: 60″. The perfect interactive bird cage that encourages activity and mentally stimulates your pet cockatiel. Easily add and change toys and treats to keep your pet bird happy. The pop-up play top and multipurpose large front door encourage out of cage playtime. Includes 3 wood perches and 2 food and watering cups. Cage is 16-inch long, 16-inch wide and 23-inch high, 28-inch high with play top open. Finally, a bird cage that makes bonding, training, cleaning and interacting easy! Super Pet’s Treat Play-n-Learn cages are designed to challenge and stimulate pet birds while providing them with a safe and secure place to live. The convertible play top provides pets with the opportunity for supervised out of cage play time, and for bonding time. The large front door offers easy access to your pet bird and doubles as a landing perch. The interactive toy doors allow you to place toys in the cage and provide and an easy and unintimidating way to fill bowls from outside of the cage. Next, you will need to supply some perches and toys for the cage. Now all your cockatiel needs is some food. You can try one of these ranges that you can purchase online, or you can save some money and read my post on homemade cockatiel food.